This month marks a full year of sticking to a regular exercise program (primarily running, with the addition of yoga starting last August). I started to write up a long post on the subject, but it was getting dull so I scrapped it. Still thought it was worth marking the occasion though. 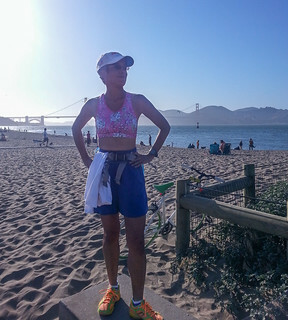 Ran a decent 5K race this past Sunday, then a run over the Golden Gate Bridge and back with a group celebrating National Running Day on Wednesday. Nine days to go till my marathon.